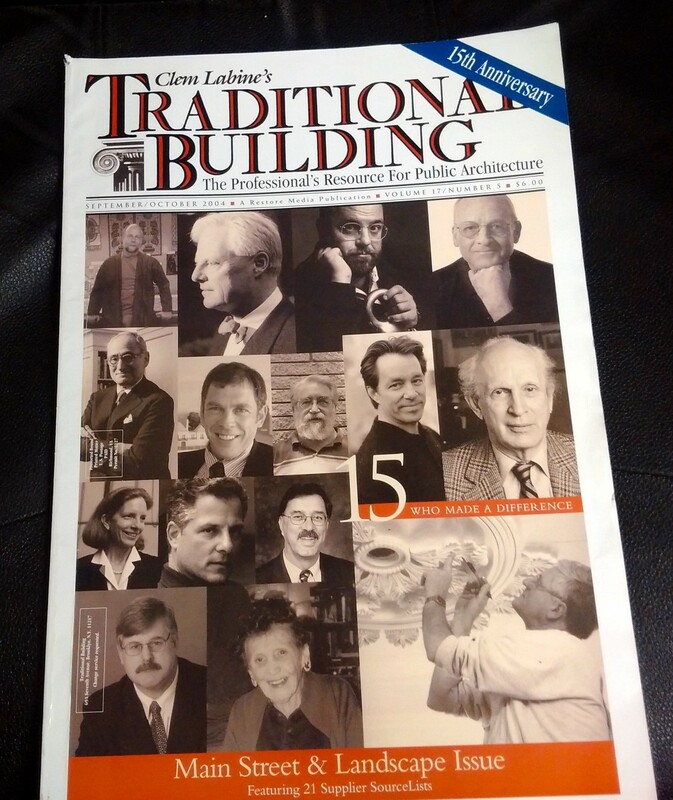 The 15th Anniversary cover shot of Traditional Building. Tom is in the lower left corner. The first time I met Tom McGrath was in 1990. 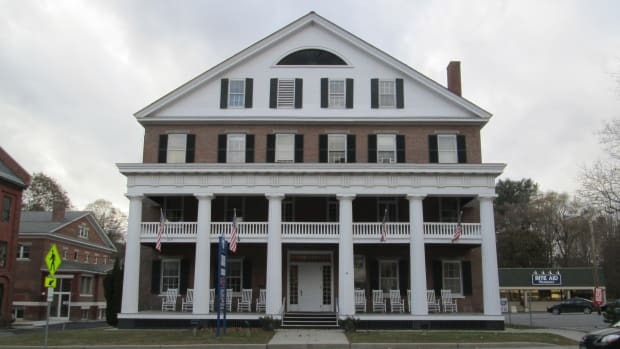 Historic Windsor had won a grant from the National Endowment for the Arts to launch an onsite building craft training program for its Preservation Education Institute (HWIPEI). Tom was superintendent of the National Park Service Historic Preservation Training Center (HPTC). At that time, HPTC was still located in Williamsport, Maryland but had a project at Harper’s Ferry NHP in nearby West, Virginia. I met Tom at his office, boarded my rental car, and over winding country roads did my best to keep up with him in his Jeep. 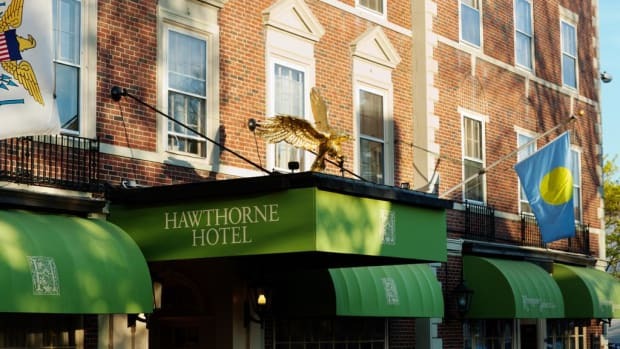 Happily, it was the first of many fast adventures in the name of historic preservation. We made it to Harper’s Ferry, and I observed first hand HPTC’s wonderful cutting edge, on-site training program for tradespeople. 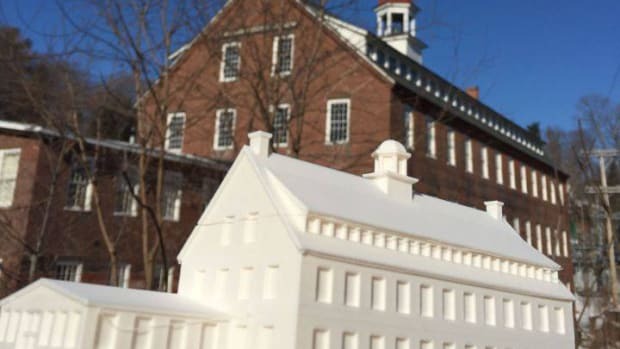 Tom became part of the evaluation team to observe HWI’s first on-site project in plaster repair at Canterbury Shaker Village a few months later. It was the beginning of a great working relationship and friendship. At the time, Tom coined a phrase about this type of education: real time, real buildings, real people. It summarized the value of hands-on learning at historic sites to further the skills and knowledge of people who execute the preservation and restoration work on historic buildings. It wasn’t long before Tom put me in contact with Dorothy Printup and shared training programs between HPTC and HWIPEI became regular occurrences. Tom and I were in the room when the Preservation Trades Network was born. When the decade became a new millennium, Tom McGrath, his HPTC colleague Tom Vitanza and I were invited to be part of the team assembled by the Federal Highway Administration and the Historic American Engineering Record under the leadership of National Park Service staff, Eric Delony (1944-2018) and Christopher H. Marston. One of our tasks was to develop the first national covered bridge conference. The conference was presented as part of The National Historic Covered Bridge Program funded under the Transportation Equity Act for the 21st Century. More than 200 people attended from the United States and four other countries. Traditional Building added a special Palladio Award that year for Covered Bridge Repair. We worked on the conference with UVM Historic Preservation Professors Thomas Visser and Robert McCullough. Other projects completed within the scope of this ground breaking partnership included a book, Covered Bridges and the Birth of American Engineering, edited by Justine Christianson and Christopher H. Marston (Book Review in Traditional Building); an engineering manual; documentation of bridges through the Historic American Engineering Record; a soon-to-be published manual of best practices for covered bridge repair and the Burlington Charter for Preservation of Covered Bridges. Shortly after the conference, McGrath was named one of the “15 who made a difference” in the September/October 2004 Traditional Building. It has been an honor to work with Tom McGrath on the preservation of historic structures and to develop educational programs for building trades professionals with his advice and guidance over the years. Tom exemplified that preservation is done best in partnership. Rest in Peace, Tom. We mere mortals will do our best to carry on the fine example you set for us, but please dispatch advice in the form of inspired thoughts when we need them.